On Sunday, I said that being a follower of Jesus is about putting a BLANK CHECK in front of Jesus. Faith in Jesus, means I offer all I have and all I am to him, to be used by him to build his Kingdom by reconnecting people with God, redeeming broken lives, and rescuing lost souls. As a follower of Jesus, I will go where he sends me and do what he asks of me even if it costs me my money, my time, my house, my relationships, etc. I trust him to save me after death, and to lead me during life. He gets it all. 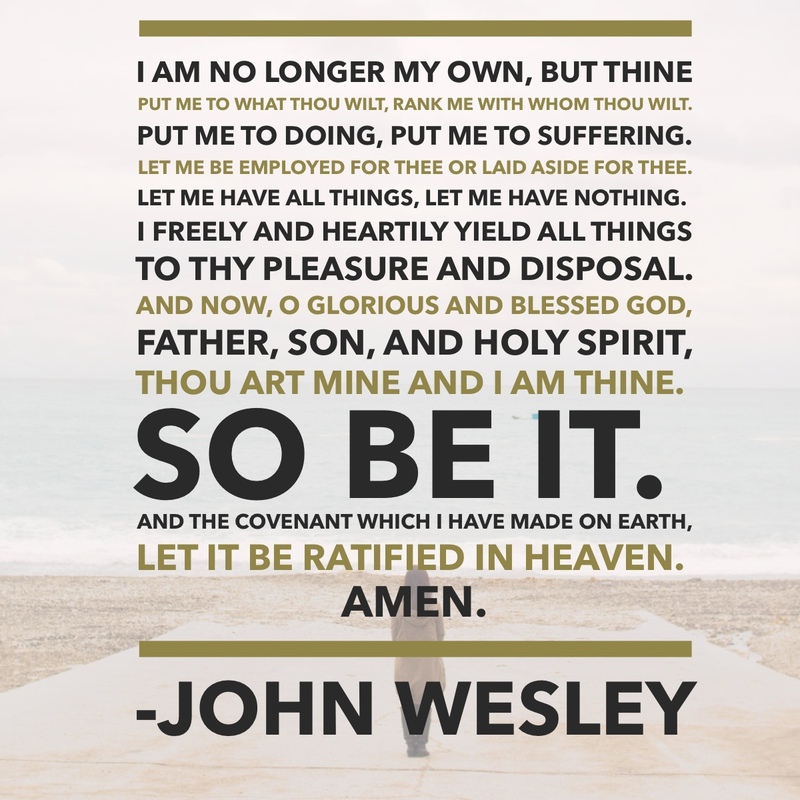 I stole the phrase “Blank Check” from David Platt, but another famous Christian, John Wesley (the founder of Methodism) used this prayer to present his blank check before God. I invite you to pray it, if you are sincere in your faith. Posted in Pastor Andrew's Blog and tagged AnyoneAnywhereAnytime, Blank Check Christians, David Platt, Jesus is worth it, Missionaries and Disciples, Use Me.